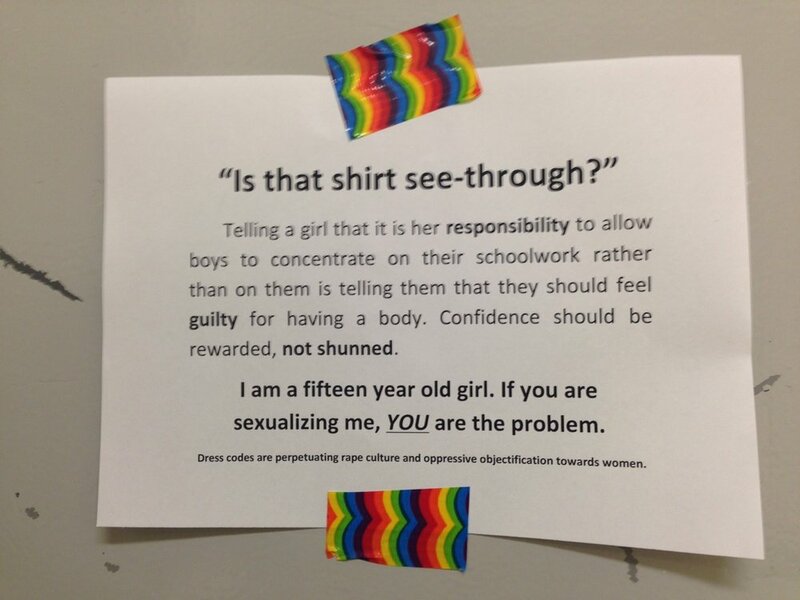 To be 15 and this aware of the limitations only imposed on women, needs a round of applause. We need to stop teaching young women they need to change themselves and how they dress for men. Can anyone site the origin of the school and the amazing lady who made these?